--Originally published at FlipNetwork – Barbi Honeycutt, Ph.D. 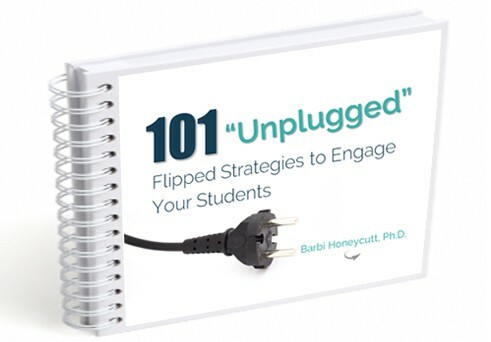 Recently, I’ve been exploring the idea of using “unplugged” teaching strategies to engage your students and improve learning in flipped classrooms. Sometimes it’s nice to close the lids on our laptops, put down the clicker, and step away from the PowerPoint© slides. When we unplug the devices, we can create new ways for students to connect with each other, with us, and with the course material. Give students a stack of sticky notes. Assign each student (or group of students) a topic in the course that involves processes, procedures, or steps that can be put into a flowchart. You might want to provide a variety of colors and different shaped sticky notes to give students more opportunities for creativity. Then, tell them to write each step of the process or procedure on separate sticky notes. When everyone is ready, ask students to post their sticky note flowchart on the wall, whiteboard, or on a large sheet of flip chart paper. Students can then walk around the room to see the different flowcharts of concepts related to the course material. Bonus ideas: Have your students create their flowcharts, but when they place their sticky notes on the wall, whiteboard, or flip chart paper, ask them to post the notes out of order. Then ask students to rotate and see if they can fix the other person’s flow chart and put the sticky notes in the correct order. Flipped Teaching Strategy: How Confident Are You? This is a great strategy to try before a quiz or exam to help students analyze which concepts they are struggling with before they are tested on the material. It probably works best with a smaller class since students will be moving around. Then give each student a sticky note. Ask a quiz question and then give students a few seconds to think about it. Then, ask them to come up to the board and place their sticky note on the line to indicate how confident they are that they know the answer to the question. If they are “very confident” then it means they could get the question 100% correct on an exam. Once all students have completed the task, step back and analyze the results together. Where are the trends? Where are the outliers? This is a great way to see where you and your students need to spend more time before an exam. It’s also a way to determine what to FLIP! Bonus ideas: If you want this to be anonymous, then ask students to leave their sticky note blank. If you’d like to know who placed their sticky note on the line, then ask them to write their first and last name on the note. Depending on the size of your class, you could do this activity with individual students or with group representatives. There are pros and cons to all of these formats, so you’ll have to experiment and choose the one that works best for you and your students! This strategy can be done individually or in groups, depending on the size of your class and the complexity of the assignment. First, ask students to create a “to do” list for an upcoming assignment such as a paper, poster, or presentation. This activity works best for a large-scale or long-term project so students can see the value of making a timeline. Ask students to draw a timeline on the whiteboard, chalkboard, or on a piece of flip chart paper starting with the assignment deadline and working backwards towards today’s date. Then give them a stack of sticky notes. Tell them to break their large assignment into small steps and write only one step on each sticky note. Once they have their stack of “to do” sticky notes, ask them to post their notes onto the timeline. They can move the tasks around, schedule more than one task at time, and add more tasks if needed. This timeline will help them visually see which areas of their calendar will be the busiest so they can manage their time appropriately. It also helps them learn to divide large tasks into smaller chunks, focus on their priorities, and evaluate their ability to get things done on time! Hopefully, these three ideas will inspire you to try new “unplugged” strategies in your classroom to engage students and improve learning. Now it’s your turn … how have you used sticky notes in your classes to engage students? Get your copy today! Available in print and e-Book formats. These are great ideas but I think it’s important to mention that to be effective, you need a strong classroom focus on the culture of learning, especially the confidence question. I like the idea, but since it’s being analyzed by the group, if there isn’t a strong sense of learning as a collaborative, group act, students can feel marginalized and not get the real power from the assignment. 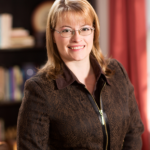 Barbi Honeycutt is a speaker, scholar, and author. She is the founder of FLIP It Consulting in Raleigh, N.C., and has published several books and developed an online course for faculty. Connect on Twitter @BarbiHoneycutt and on her blog.